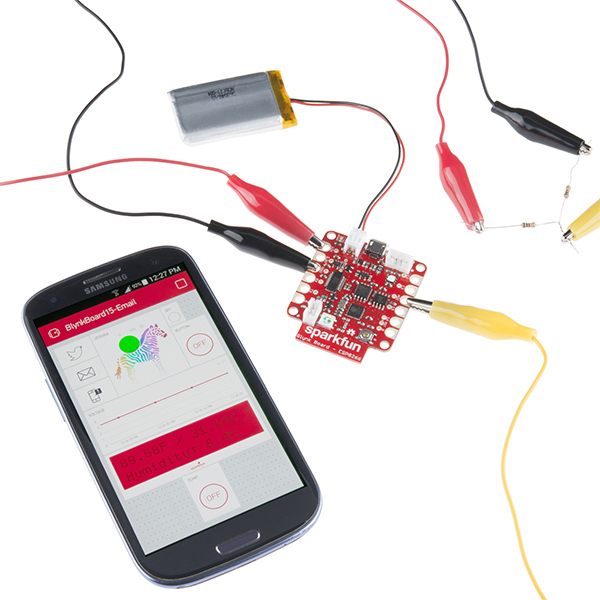 The SparkFun Blynk Board – ESP8266 is your hardware gateway to the app-controlled wonderland that is Blynk. 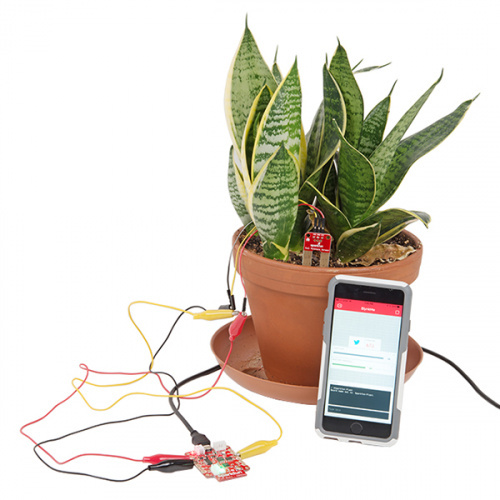 Combining the Blynk Board with the Blynk app (on your iOS or Android device), will allow you to control LEDs from your phone, send a tweet when it's time to water your plants, monitor local weather conditions, and much more! This tutorial will explain how to get your Blynk Board connected to a local Wi-Fi network -- in a process called provisioning -- and connected to a project within the Blynk app. Once you've completed the tutorial, you'll have already created your first project: a zebra-controlled multicolored LED (it'll make sense when you see it). 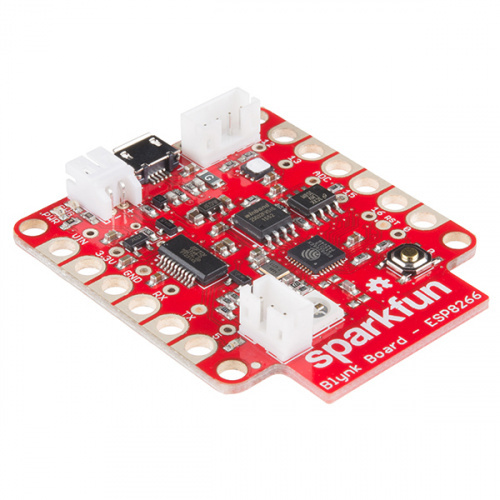 SparkFun Blynk Board -- ESP8266 -- The Blynk Board comes fully programmed -- ready to start Blynking. All you need to do is connect it to Wi-Fi and your Blynk account. You can obtain the Blynk board individually or from the IoT Starter Kit. The Blynk Board also includes a Blynk Subscription code card, which you'll need to connect the Blynk Board to your Blynk account (and to charge it up!). Micro-B USB Cable -- The Blynk Board can be powered via a USB cable connected on the other end to either a computer, laptop, or USB wall adapter. The Blynk Board is equipped with LiPo battery support for truly wireless Blynking. The 2-pin, white JST connector adjacent to the USB port, mates with a variety of SparkFun LiPo batteries. The batteries are available in a range of capacities, but we recommend either the 400mAh, 850mAh, or 1000mAh varieties. A USB cable is still recommended – it's used to charge the battery. But once you find a Blynk project that requires your board not be tied down to a wall or computer, definitely consider equipping it with a battery.